To help build a more inclusive society by developing the social participation skills of people with intellectual disabilities, while strengthening their ability to function independently and as part of a group. allows a member to participate in the Summer Skills Day Camp for one week. $250 allows a member to enjoy a two-night weekend in the country. $250 allows a member to enjoy a two-night weekend in the country. For the 6th edition of enCirquez-vous Gala, the event will take place under a new formula: more exceptional, more central and with more awareness around the intellectual disability! Join us on May 2 from 6 p.m. to 8:30 p.m. at St-Jax Montréal for an immersive circassian evening in partnership with Le Monastère - Cabaret de cirque. Raise funds to enable the MAIH to offer integration and skill development activities to its members with intellectual disabilities (with or without autism spectrum disorder) through culture. Participating in this event will allow you to live an exceptional circus experience in a breathtaking place. Throughout the evening, many surprises await guests and they will be able to learn more about the work of the MAIH for people living with an intellectual disability. 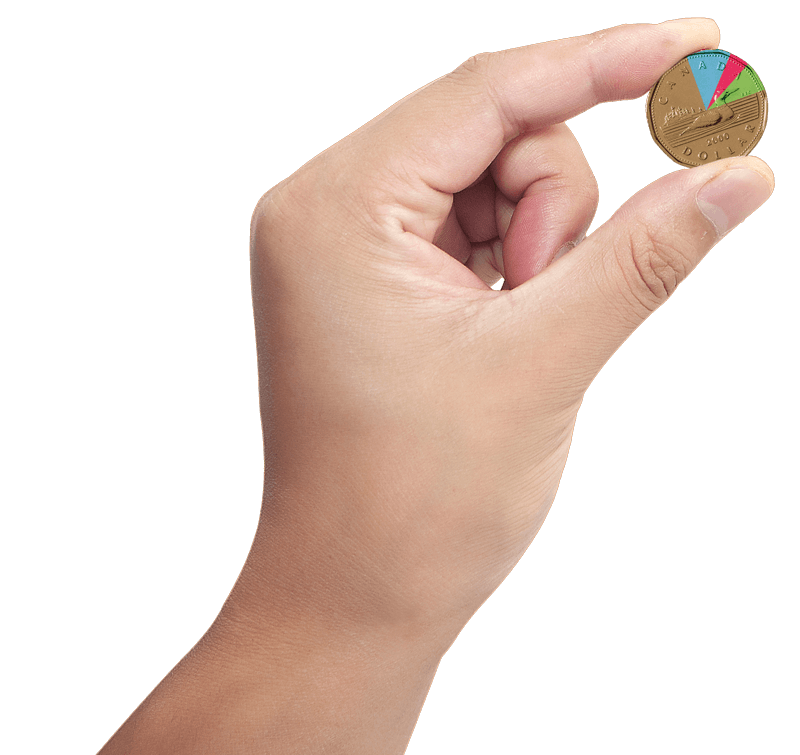 Do you want to invest in a great cause? Join the honorary committee of this event. For more information contact Émilie Thierry at communication@amdi.info. 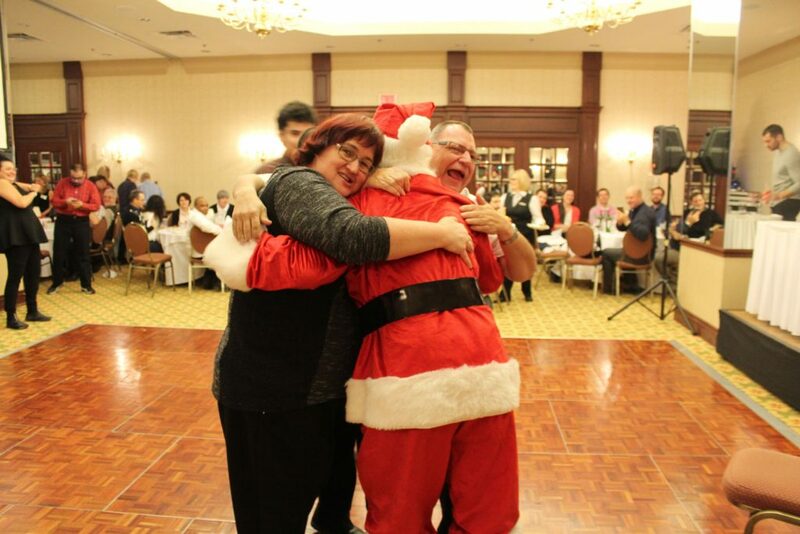 The MAIH throws a party for its members every year during the holiday season. The party is a special occasion for seeing friends, having fun and winding up the year. The MAIH Corn Roast Party! The enCirquez-vous Gala! is MAIH will transport you to an exceptional world with circus performances of the best circus artists in order to raise funds for the MAIH. Our members look forward to this event, with more than 150 turning out every year to celebrate the holidays in style. Good food, presents for all, and dancing in a festive ambiance ensure that the MAIH party for the holiday season is a tremendous success! 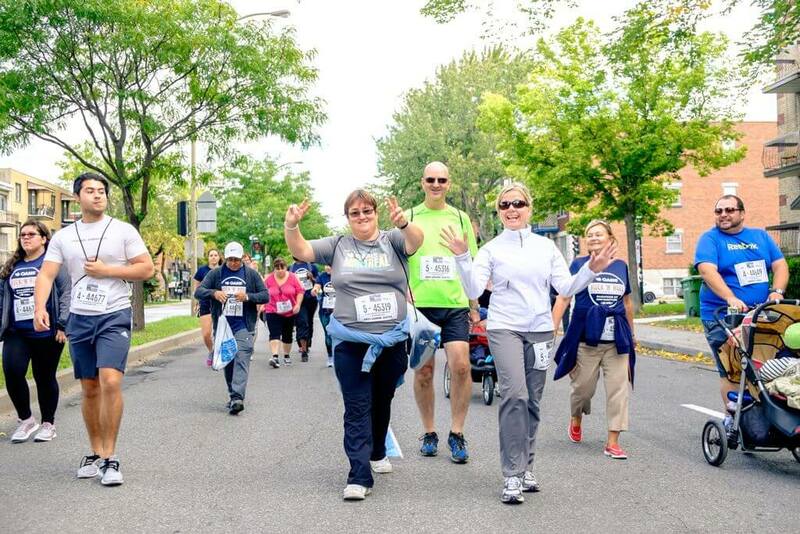 The MAIH RBC Challenge is a sporting event to walk or run 5 km as part of the Montreal Marathon to raise money for the MAIH. All participants who represent the MAIH will meet at the starting line of the 5 km to take up the challenge together, running or walking! 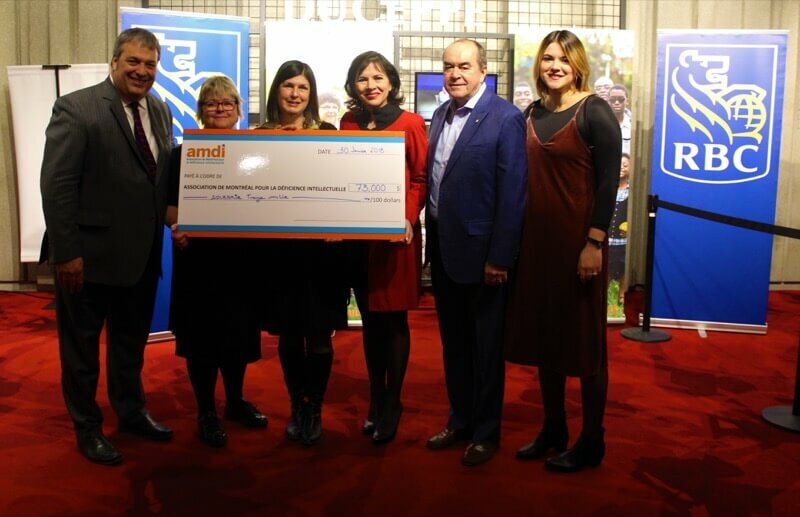 In partnership with RBC, the 2018 Challenge aims to raise funds for the Broaden your Horizons program to allow the MAIH members to travel to New York City in April 2019. The MAIH Corn Roast is an annual event to kick off the fall session at the MAIH. Whether it’s for running into old friends or meeting new acquaintances, or to experience an easy and fun registration process while signing up for the Fall activities, the MAIH Corn Roast Party is the place to be on the Saturday after Labour Day. On the program: reunions with friends, face painting, performances, music… and the corn roast! Our biggest fundraiser of the year, this event has been in place since 1983. It is held at the end of January every year at Théâtre Jean Duceppe at Place des Arts. The evening event consists of a cocktail buffet before the play and a sparkling wine and sweets party after the play. In 1983, Mesdames Lee Garant, Danielle Cousineau and Denise Tonelli made up the first organizing committee of the Soirée Théatre Janine-Sutto on behalf of the Association de Montréal pour les déficients mentaux (renamed the Montreal Association for the Intellectually Handicapped, or the MAIH, in 1987). Thanks to their hard work, more than 650 tickets were sold, and proceeds of over $7,000 were raised. The wine and cheese party (former sparkling wine and sweets) was a success thanks in part to the involvement of two members of the Board of Directors – Messieurs Pierre Desmarais and Maurice Bleau – and of a number of public figures in the business community. In 1986, encouraged by the success of its French-language theatre event, the MAIH organized an English-language theater evening at the Centaur Theatre. The enCirquez-vous Gala! is MAIH will transport you to an exceptional world with circus performances of the best circus artists! 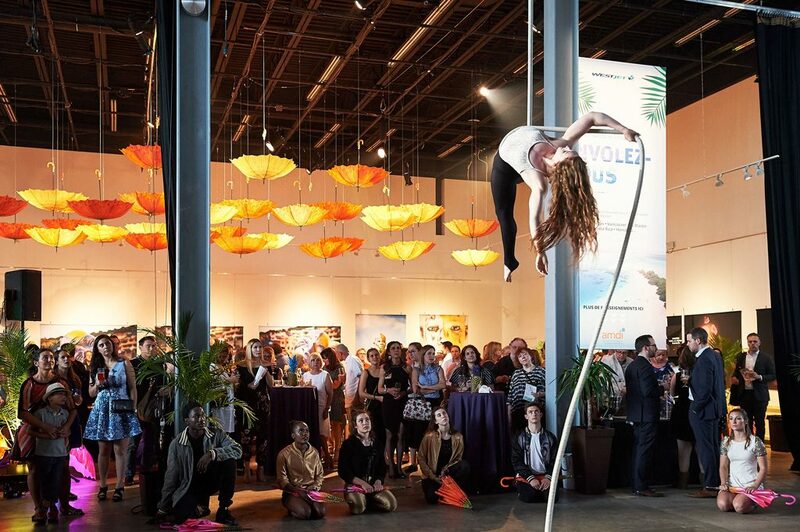 In 2019, this evening proposes a brand new formula in partnership with Le Monastère – Cabaret de Cirque at St-Jax Montreal. A cocktail accompanied with circus performances will transport the guests in the magic of the circus throughout the evening over a period of 2h30. All this for the benefit of cultural projects that allow people with intellectual disabilities, members of the MAIH, to develop their social and creative skills while educating the general public to intellectual disability. It’s second biggest fund-raising event of the year after the Janine-Sutto Theatre Evening. Set up in 2013, its aim is to immerse guests in the world of the circus for an entire evening and to become aware of the intellectual disability. We truly hope that guests attending the event enjoy themselves as they join together to help raise funds for the MAIH and its many different projects. This two-part evening provides a networking space in the context of a warm cocktail buffet and the opportunity to take part in an amazing circus show. A beautiful partnership that allows us to give the opportunity to our members to express themselves as artists but also to raise awareness in the academic community of intellectual disability. 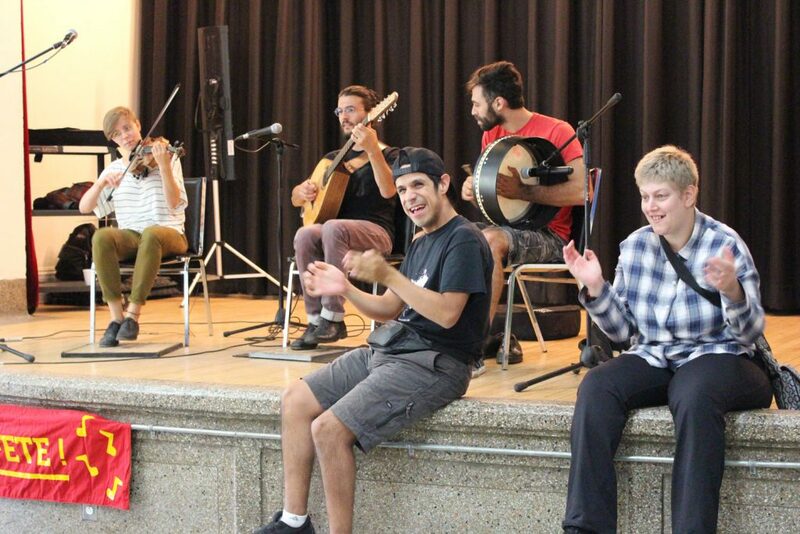 Discover this video offering you the extracts of the performances of the members of the workshop Agissons who took part in the vocal exploration workshops in partnership with the Place des Arts through their Adapted Art program. Here is their representation of April 2. Thanks also to the Place des Arts Foundation for making this project possible. Discover our new ambassador for the year 2018-2019! Jean-Simon has been a member of the MAIH for two years and motivated to represent the MAIH at best. Dynamic and sparkling, it is also part of the committee members, a committee that was set up in the summer of 2018 and allows members of the MAIH to bring new ideas and directions for the services they want. Through this video, Liliana Tano, Social and Community Development Coordinator at MAIH and Guillaume Labelle, a member of AMDI since 2015, tell us about the benefits of Opening Doors to Montréal. “An idyllic work from the MAIH that allows members to have a blast in Montréal because the activities are really fun !”. Discover the importance of these workshops by watching the video!  Janine Sutto has been a spokesperson at the MAIH for more than 40 years. Her departure was difficult for many people but she has brought a happiness of great value to the members of the association and will remain forever in our hearts. This video pays tribute to her. You wish to become a member of Maih? What is your interest in the MAIH?